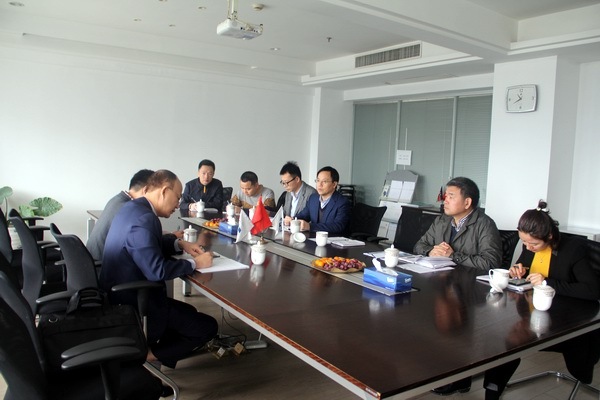 ---On March 19th, 2019, a delegation including Mr. Do Ngoc Anh, Deputy Director of Institute for Hydropower and Renewable Energy (IHR) in Vietnam visited HRC for the cooperation of implementing the Lancang-Mekong Cooperation Fund Project called "Technology Sharing and Capacity Building on Hydropower and Dam Safety Management in Lancang-Mekong countries". The project, which is led by Nanjing Hydraulic Research Institute (NHRI), aims to further improve the capacity of Lancang-Mekong countries for the safety management of water project and the disaster mitigation by way of capacity building and technical sharing. The visit of Chinese project team to Vietnam and Laos will be arranged in April 2019, for technical exchange and site investigation. The Training Course on Construction & Safety Management of Hydropower and Dam for Lancang-Mekong Countries will be held in China in June 2019, in which about 30 technical professionals from Lancang-Mekong countries would attend. The Seminar on Hydropower and Dam Safety Management for Lancang-Mekong Countries will be held in Thailand in December 2019. For this project, legislative framework and technical standard on hydropower station and dam safety, which are appropriated to the conditions of Lancang-Mekong countries, will be put forward and the proposal on the application of relevant technologies and standards (or specifications) will be provided.